(Rick Egan | The Salt Lake Tribune) Waste and recycling dumpsters outside an elementary school in Sandy, Utah on Thursday, September 11, 2014. It’s more expensive to recycle an empty Pepsi bottle than it is to throw it in the trash. And Weber School District in northern Utah can no longer afford it. The school district announced this week that, because of rising costs, it would be cutting back recycling efforts at all 50 of its schools and office buildings. Paper is still OK. Cardboard, too. But no more aluminum cans or plastics or mixed materials. Waste management vendors started raising their per-ton processing fees after fetching lower prices in international markets. China, one of the biggest importers of recycled materials from the United States, began cracking down on which materials it would accept. So the local company that empties the recycling dumpsters for Weber School District charged more. Before scaling back its efforts, the district faced spending an average of $300 a month for each building it operates to have the company pick up its plastic and aluminum recyclables. That’s about $180,000 a year. There’s already a tight budget, Findlay said, and the district wanted to prioritize using taxpayer money, instead, to fund programs for students. The district will focus on going paperless and switching to more energy-efficient lights as alternative routes. And Weber County educators will continue to teach lessons about recycling. Annica Coombs, whose son attends junior high in the district, believes it will fall more on parents now to talk to their kids about separating waste from recyclables. Coombs worries that not every household is like hers, though. She hopes students don't unlearn the importance of recycling bottles and cans when they're asked to put them in the trash at school. 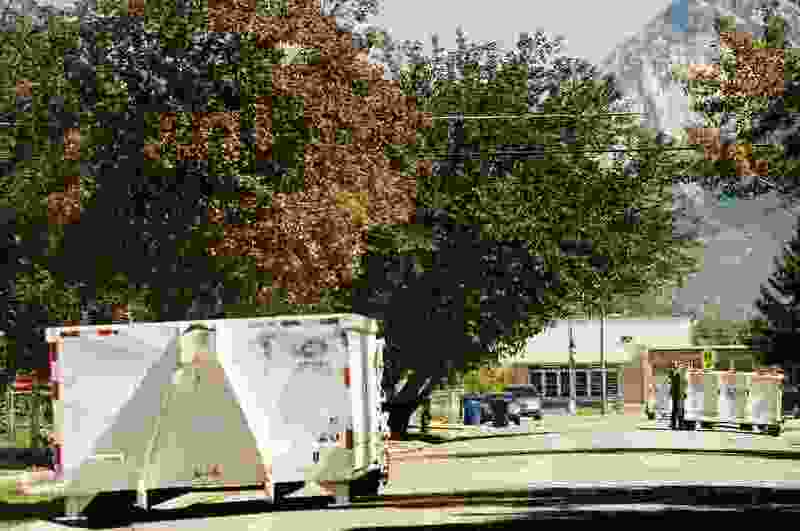 Other districts across the Wasatch Front continue to offer full recycling programs, but Granite School District said it has suspended its efforts in the past when the expense got too high. Ten years ago, it stopped collecting plastics and metals. Four years ago, it restarted both. Salt Lake City School District, meanwhile, gets about $16,000 a year — which it splits among its more than 40 schools — for the paper and cardboard it recycles. The company GreenFiber provides containers, too, and picks up the materials at no cost. The paper takes weight out of what would be thrown into the trash (about 600 tons annually). And the waste management hauler also gives the district a 15 percent discount on its trash fees for the mixed recyclables that it diverts from the landfill, said Greg Libecci, the district’s energy and resource manager. 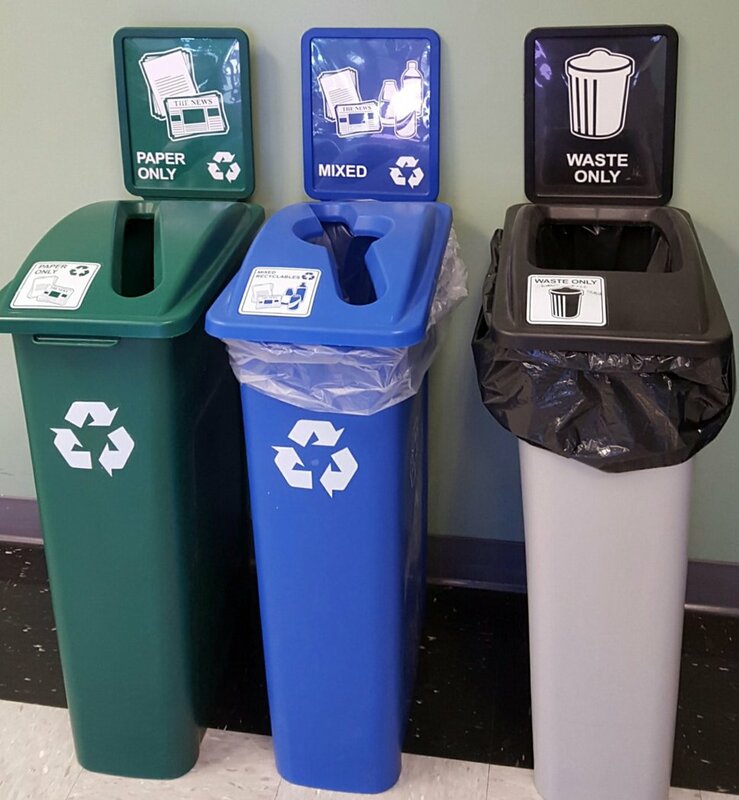 (Photo courtesy of Greg Libecci) Salt Lake City School District separates materials into three containers: paper only, mixed recyclables and trash. The district also recycled eight old buses and replaced them with clean diesel models.